I write this column today as Congress threatens to eliminate state-run retirement plans for private workers. Yes, the new Republican controlled Congress wants to block states from launching programs that help millions of Americans in enrolling in IRA-style saving plans. 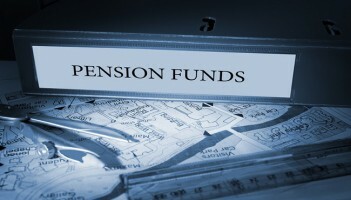 As a token of my research into the subject matter, I stumbled upon the various articles on state funded pensions versus unfunded pension plans. I didn’t quite understand why government pensions would run into problems if state governments propose budgets which account for funding of their pension plans. Are state governments pensions being underfunded? Under the current structure, a state government employee retirement plan “discounts” its benefit liabilities using the assumed return on the investments held by the plan. Most state pensions hold about 75 percent of their investments in risky assets such as stocks, private equity or hedge funds and they assume annual investment returns of about 7.6 percent. Based on this method, state plans today are about 74 percent funded and have unfunded liabilities of about $1.4 trillion. In my estimation, that’s a considerable amount of high risk lending would cause issues for state workers and their retirement plans. I know I couldn’t ask an average worker what kinds of investments or stock portfolios they have, however, to place their entire future they have worked hard for in the stock market is the definition of insanity. However, state governments do this to their workers all the time, knowing the return on investment for the workers’ retirement package could be zero. The United States also made of out of a period of economic instability with the Great Recession that ended in 2009. Well, to make matters worse: Moody’s paints a poor picture about the state pension plans. Half of U.S. states did not put enough money into their retirement systems in 2015 to curb the growth of unfunded liabilities. That held true even when states met the contribution levels their actuaries told them were necessary, Moody’s found. So, what do state workers do in the case their pension plans is underfunded? Taxpayers can step in, or state governments can put their retirement plans in additional risky stock portfolios. However, those ideas evade the real issue of how funding state worker pensions should be. Weak investment performance and insufficient contributions will cause total unfunded liabilities for U.S. state public pensions to balloon by 40 percent to $1.75 trillion through fiscal 2017. There are states who have managed to balance their budgets and pay their employee’s retirement benefits, sadly it’s a small number. Only three states have set aside enough money to fully pay retirement benefits owed to current and futures retirees: South Dakota (107 percent of liabilities), Oregon (104 percent) and Wisconsin (103 percent). State pension fund debts have been growing since 2000, after falling in the preceding decades. The last time they were fully funded was the late 1990s, when a stock market boom generated returns that left them with a surplus of funds to pay benefits. More needs to be done; every state in the union must be committed to balancing their budgets every year with a portion of that budget allocated to the state pension funds of its employees. It must not be diluted or tampered with. That is why I propose the Federal government develop a state-run corporation devoted to the handling of the pension funds for federal, state and local government employees. Like the Canada Pension Plan Investment Board, the state-run corporation will oversee all investments and funds contributed to pension plans. It will be able to act as an arbitrator for employees’ retirement portfolios, ensuring the funds will be available and protecting funds from predators on the stock market. The corporation will not a private entity; it will be state operated and controlled, in other words it will be a crown corporation. I believe this will be a great idea and a way for state employees to ensure their pension plans will be available upon their retirement. In addition, it will help governments across the country fix their budgets plans with information this corporation would be able to provide them. I will confess some politicians will not be so warm to the idea of another entity acting an accountability measure for pension plans that are exposed to risky investments they themselves profit from. Nonetheless, having pension plans go unfunded is a risky idea that puts the future of public service employees in jeopardy. Author: Andrew R Vaz, M.Sc., M.P.A. is a doctoral student in public policy and administration program at Walden University. He is a graduate of the Master of Science in Criminal Justice and Master of Public Administration double master’s program at Florida International University. He can be reached at [email protected]du.